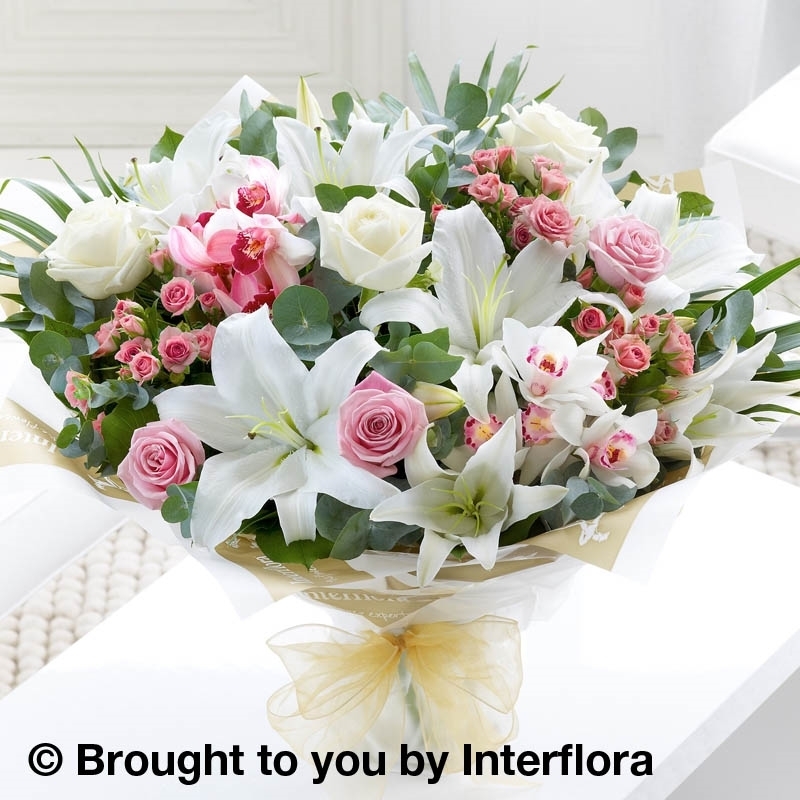 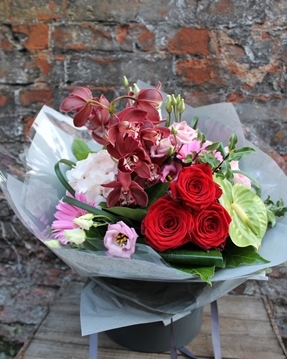 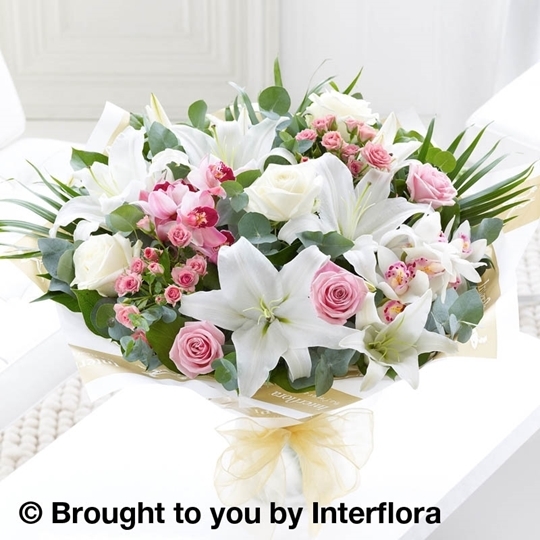 An extra special person deserves a very special gift – just like this luxurious hand-tied bouquet. 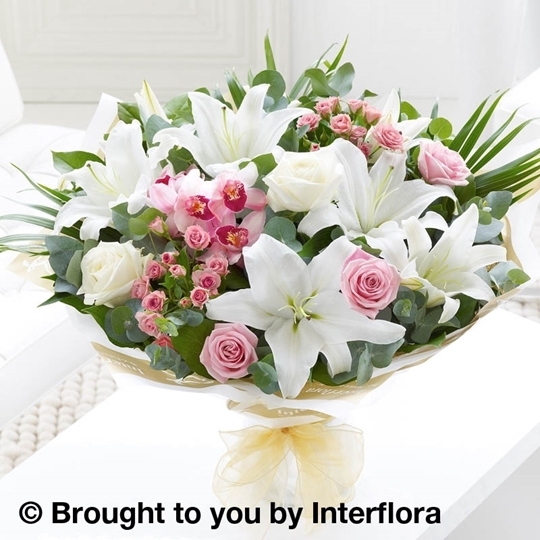 The exquisite mini orchid is a charming centrepiece that looks so sophisticated set against exotic Oriental lilies and velvety large-headed roses in marshmallow pink. A heavenly gift that exudes luxury. 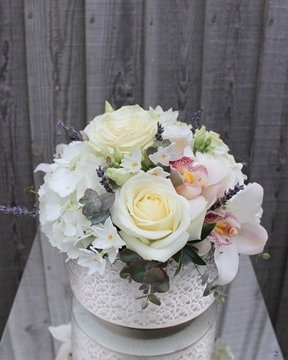 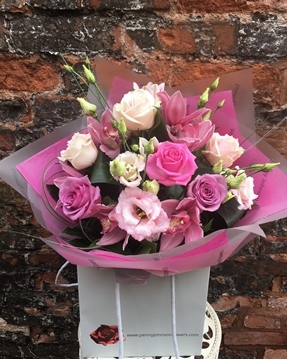 Featuring mini cymbidium orchids, white Oriental lilies, large-headed ivory roses, large-headed pink roses and pink spray roses with palm leaves, eucalyptus and salal, hand-tied, wrapped and finished with gold voile ribbon.